CHICAGO (WLS) -- A large space rock--likely a dead comet--will zip past Earth on Halloween, and it looks the part! Asteroid 2015 TB145 will safely fly within 302,000 miles of Earth at a speed of nearly 22 miles per second, according to NASA's Infrared Telescope Facility. 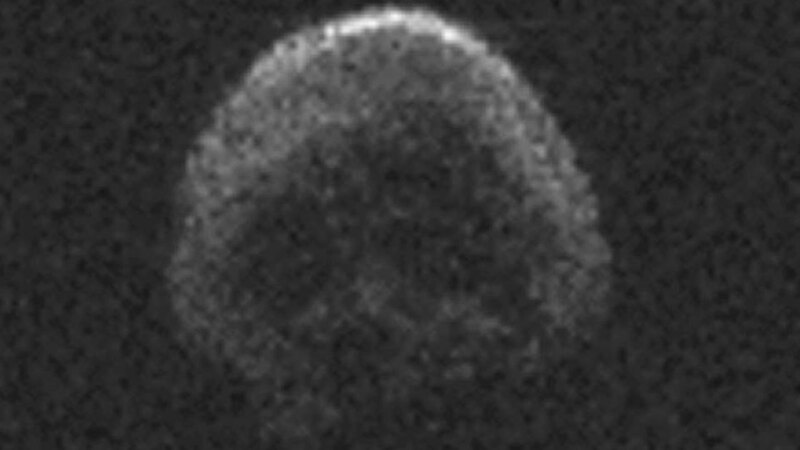 "The IRTF data may indicate that the object might be a dead comet, but in the Arecibo images it appears to have donned a skull costume for its Halloween flyby," said Kelly Fast, IRTF program scientist at NASA Headquarters. The asteroid is about 2,000 feet in diameter, and rotates once every five hours or so. Scientists say its surface is the color of asphalt, which is actually fairly bright for a comet. More information about the asteroid and its brethren can be found here.